Advice about alcohol consumption during pregnancy could be conveyed more effectively to parents and health professionals, research at Cardiff University has found. Since 2016, guidance from UK Chief Medical Officers recommends that women who are planning a pregnancy or are pregnant abstain from drinking alcohol altogether. A new stakeholder study by Dr. Rachel Brown and Heather Trickey of DECIPHer, (Development and Evaluation of Complex Interventions for Public Health Improvement) Cardiff University, considered the ways that this guidance is experienced and communicated by different groups. Mothers, antenatal teachers, midwives and policy makers were asked for their views. Following this work, the researchers have suggested ways in which communication of the advice might be improved. Trickey said: “There is good evidence that drinking a lot in pregnancy can be harmful. There is also a ‘dose-response’ effect with more alcohol leading to more adverse outcomes and Chief Medical Officers (CMOs) were unable to determine a ‘safe level’ after commissioning a comprehensive evidence review. “However, the evidence for harm from drinking small amounts in pregnancy (below 1-2 units a week) is limited. CMOs concluded that lack of evidence is not the same thing as a lack of harm. They decided to take a ‘better safe than sorry’ (precautionary) approach by issuing a simple ‘Don’t Drink’ message, intended to help women avoid any risk. Brown and Trickey believe communication strategies need to align with a wider agenda to improve public understanding of the evidence and could do more to be relevant to women’s lived experience of pregnancy planning and the fact that social drinking is a normal part of many women’s lives. 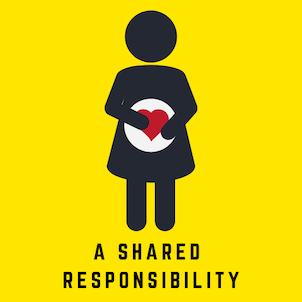 Rather than targeting messages to individual mothers, they suggest an approach which considers the role of partners, family and friends in affirming and supporting mothers’ decisions, for example by joining an expectant mother in not drinking. The researchers intend to explore ways in which the guidance about drinking alcohol during pregnancy can be communicated more effectively.